The recent death of Bill Buckley brought forth the usual lies from the liberal-neocon establishment; and having devoted part of my latest book and a slew of irate commentaries to exposing these gross untruths, I see no reason to dwell on them here. Suffice it to say that in the 1950s the late Mr. Buckley, contrary to the current fiction, did not drive out a mob of anti-Semites and racists from the conservative movement. More accurately, he kicked out a few Jewish libertarians, starting with Ayn Rand, Murray Rothbard, and Ron Hamowy. 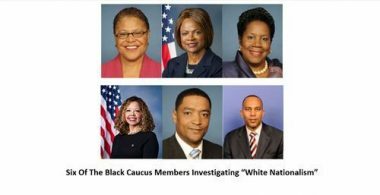 Nor did he make a moral statement in the 1960s against the anti-Semitism of the John Birch Society by expelling the society’s members (to the extent he was authorized to expel anyone from anything) from American conservatism. What Buckley, James Burnham, and Frank Meyer did in 1965 in National Reviewwas to condemn the Birchers principally for their opposition to the War in Vietnam. As for anti-Semitism, I recall reading as a teenager the JBS publication American Opinion (which for some reason arrived gratis at my parents’ home), and it contained multiple articles by a journalist named Allan Stang who looked a lot like Woody Allen. More credible comments about Buckley’s accomplishments, however, have come from members of the Old Right, and particularly from Peter Brimelow and Larry Auster on their respective websites. Peter sketches a picture of a socially driven and callous journalist, who disposed of people like us when we ceased to be useful and whose vaunted oratorical abilities were rather exiguous. He recalls one social gathering with Buckley that he felt obliged to attend after Peter’s wife had undergone surgery for breast cancer. Buckley was totally indifferent to Peter’s worrisome problems, about which he was well aware; instead he tried to impress on the then-distracted husband the need to fawn on well-connected guests. Peter considers Buckley’s proverbial charm to have been a grease gun applied for social advantage. A perpetual climber, he was nice to lefties who counted or when his apparent kindness could be used to make him look admirably tolerant. Larry adds to the grievances Buckley’s betrayal of the Right that he had claimed to be fighting for. Instead of truly “standing athwart” the age, as he said he was doing when he launched NR in 1955, Buckley became the captive of a leftward moving American culture. 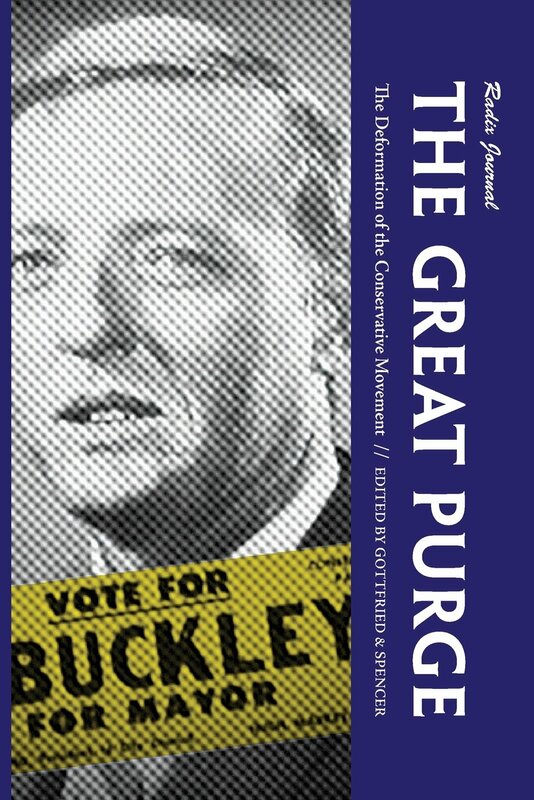 For Brimelow and Auster, Buckley’s abandonment of the immigration question, while courting neoconservative friends and allies, and his willingness to purge immigration restrictionists from his own magazine in the 1990s indicates his lack of serious conviction. Both of his critics attack Buckley’s character as well as his traceable fall from any position that might with reason be considered rightwing. Neither critic sees fit to praise Buckley for having scolded the neoconservatives for their ill-considered war policy. By the time he got around to that, he has already done incalculable and perhaps irreversible harm to the American Right by not speaking up at the moment of decision. Except for some of the personal details in Peter’s account, there is nothing in his broadside or in that of Larry Auster that has not also appeared in my occasional writings. As a matter of historical interest, I was discouraged from contributing further to NR before Peter became a noted writer there; and unless I’m mistaken, by the early 1990s, no one contributing to NR could have done so for very long unless he enjoyed neoconservative favor. But the trek of this magazine toward the left did not begin in the 1990s. It was already in full swing by the 1970s, something that my monograph on the conservative movement tries to demonstrate. What rendered Peter’s and Larry’s “obituaries of sorts” memorable was not that they contained new revelations, or that their authors even thought they did. Rather they were imitating Buckley, who when Murray Rothbard died unexpectedly in 1995, leapt at the occasion to settle scores with his longtime adversary. In this case, however, the charges were considerably more defensible than they had been when Buckley had gone after the deceased Rothbard, accusing him of, among other enormities, supporting the Communists in the Cold War. Chief among the particulars in the briefs under consideration was that Buckley had handed over American conservatism to neoconservative adventurers from the Left. 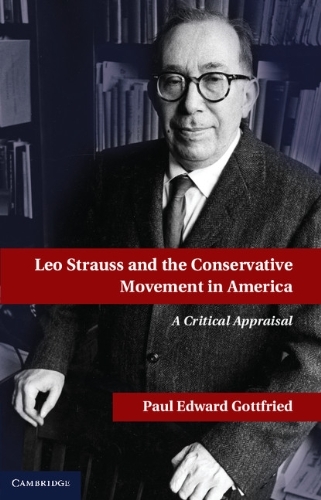 He had done so by turning sharply against more genuine conservatives (a practice that my book heavily documents) and by making neoconservatism the only permissible form of thinking on the right. There is of course nothing in my friends’ charges that seems even vaguely untrue. I myself have made the same general charges, and often with far more ferocity. The only objection I could raise, and even this might sound hypocritical considering its source, is that it looks bad to say bad things about someone who has just died, and especially if that someone has attracted decent people as admirers. But there is another reason I would hesitate at this point to go after Buckley. When all is said and done, there must have been something in him that caused me (as well as the young John Zmirak) to have once admired his achievements. It was not until I had entered my forties that I began to disapprove, and quite openly, of this onetime idol. But before then, for over 20 years, I had followed his columns, read his anthologies, and watched him on TV with undiminished respect for his literary gifts and remarkable aplomb. His manipulation of English syntax, his capacity for sarcasm, and his unending output had all turned me into his loyal devotee. On the few occasions I met him, I was almost speechless with wonder, just as I would later become inexpressibly angry when he was foolish or cavalier enough to have shoved what he had built up into unworthy hands. Although I now see how deeply flawed he was as a person and how ridiculously contrived his “movement” had been, the question remains whether I had been entirely deluded in my judgments about him from the beginning. Without boring the reader with other examples of such broadminded respect drawn from the past, I would note that my reaction to Buckley’s career follows Weaver’s regard for Lincoln as an orator. One does not have to overlook his flagrantly opportunistic career, especially his passion for neoconservative dinner companions and for taking instruction from these grotesques, to appreciate Buckley’s magnificence as a polemicist and wit. Even now I read Up From Liberalism and other samples of Buckley’s early oeuvre and continue to thrill to the clever phrases and epigrammatic style. Buckley’s descriptions of Eleanor Roosevelt, the ultimate do-gooder, in the 1960s are at least as funny as Mencken’s earlier, devastating snipes at Woodrow Wilson, the world missionary. And Buckley’s arguments against the Civil Rights Act of 1964 and the Voting Rights Act of 1965 were entirely on target, no matter how far he would later move from these sound positions out of social anxiety or rank opportunism. For years I walked among my leftist academic colleagues armed with Buckley’s well framed refutations of what were then fashionable political opinions. The fact that Buckley made a later, fateful alliance with even more obnoxious leftists than the ones I was then forced to associate with does not diminish the force of what he had said and written, at a more principled and more spirited time in his life. Admittedly Peter might have a point that Buckley’s speeches sometimes fell flat; and certainly he took on tasks that went beyond his perpetually cluttered publishing schedule. What for me, however, is noteworthy is that he was as good as often as he was, given his endless obligations and considering all the novels and columns that he was grinding out. In the early 1990s, I began to correspond with Buckley at the urging of a shared friend, and in one abrasive, no-holds-barred letter, let him know how disappointed I had been by his odyssey over the preceding twenty years. I carefully spelled out his “tergiversations,” one of his favorite bookish terms, and I cited examples of those he had once reamed out, for example, the atheist philosopher at Yale, Paul Weiss, with whom he later struck up much publicized, socially celebrated friendships. I strongly hinted that he had “put off the Old Adam and put on the New one” as an exercise in social climbing. 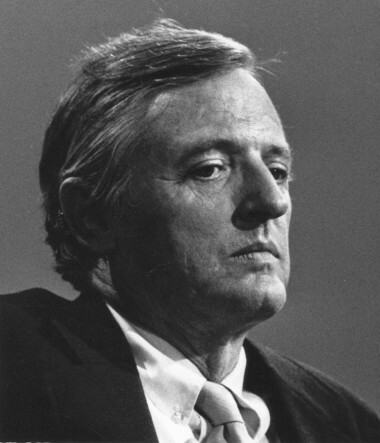 Buckley wrote back an even longer letter, and it was full of the statements that he had made about his present friends over a long period of time, citations that were meant to indicate a lack of contradiction between his current and past views. He also tried to prove that his apparent about-faces on a wide range of social issues had never really occurred, and indeed his present stands were the ones he had held decades earlier. Two things about Buckley’s letters, and this text in particular, impressed me. One, my correspondent did not have to provide me (of all people) with an elaborate self-justification. 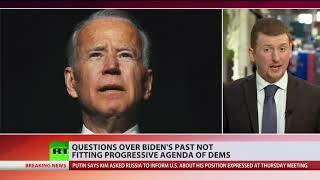 His neoconservative buds had already marginalized me, and although I was corresponding with my onetime hero, I would be of absolutely no use to the movement that his then current friends were creating with his cooperation. In fact, I would never be allowed to participate in any way in their zombie army. Two, he managed to play the bad cards I had dealt him superbly. He had put me on the defensive, despite the abundant proofs for my implied charges. He was like a chess master taking his multiple opponents apart one after the other. Presumably I was not the only person with whom my correspondent was discussing his “tergiversations.” He had undoubtedly tried some of his polemical weapons on other “Dear Bill” critics before getting around to my brief, on July 22, 1992. Still, it seemed unlikely that in all cases he had had to respond to exactly the same set of evidence. There is probably a ton of evidence for what I was suggesting, and his attackers would have had no problem finding many illustrations of his volte-face. Nor do I consider my debating abilities to be anything but first-rate. But I was clearly embroiled with someone who was much better than I. Moreover, a letter he had written that was brought to my attention soon after (in circumstances I am not allowed to reveal), one that had been sent to the neocon ranter Irwin Stelzer, who had predictably called Pat Buchanan a “Nazi,” testified further to Buckley’s argumentative and verbal skills. I could not imagine having come up with a refutation even remotely as good, and certainly not as a literary exercise produced en route to a speaking engagement. Having paid this compliment, it is also inconceivable how such a writer of quality could have surrounded himself with the mental midgets he enlisted for National Review or the untalented social vulgarians who snatched up his mind in the 1970s. One is sadly reminded here of how Carl Schmitt and Martin Heidegger, both surpassingly brilliant thinkers, tried to pass in the social world of the Third Reich. The renowned composer Shostakovich had engaged in a similar form of slumming under Stalin. But these celebrities eventually recoiled from those they had forced themselves to court, unlike Buckley, who sank deeper and deeper into the fatuous world of his patrons. Despite his slide downward, WFB showed talents that I could never dream of equaling—and particularly not at this stage in my life. He deserved at least some of his moments in the sun; and I am glad that he enjoyed the ones he was entitled to. As in our views of other badly flawed men of talent, let us pay fitting tribute to Bill Buckley, without willfully ignoring what the Germans call the Schattenseite, the shadowy, negative aspect of people and things that honesty requires us to notice.